Now that the conference tournaments are over, let’s check the most dangerous teams to reach the Final Four. The ACC champ has welcome back Zanos who has been impressive since his return with 29pts against Syracuse and 31pts against UNC. Despite low FG % against Syracuse and UNC, Tre Jones has also stepped up his game with 44pts and 18as in the three games of the tournament. Duke’s weakest link could be Reddish, who has been awfully bad in the ACC tournament with 24pts 8rbds and only 1as on a poor 7/22 from the field. Coach K will need all his soldiers to be ready to reach the Final Four with MSU being the toughest opponent in its region. With only three losses including two against Duke, the Cavaliers are once again one of the best teams of the regular season. Hopefully, they won’t live the same nightmare they experiences against UMKC when they became the first #1 seed to lose against a #16 seed. As understandable the two losses against Duke are, the way Virginia got beaten physically against Florida State (35rbds to 20) and how unefficient the Cavs were behind the 3pt line (5/24) may worry coach Bennett. We’ll see pretty soon if Hunter, Guy or Jerome can bounce back with a tough region which includes Tennessee, Kansas State, Purdue or Villanova. Since January 16, the Tar Heels only lost two games to UVA and Duke by one point. With Cam Johnson (16.9pts 8.8rbds 2.3as 46% 3pt for the season), Luke Maye (at least 13rbds in three of his last four games) and Coby White (, UNC has a strong 1-3-5 trio which can beat anybody in the country. Despite his combined 30pts 12rbds and 10as in the two games of the ACC tournament, White, who could be the catalyst for that squad, only shot 1/13 from three. With only six players playing more than 12min a game, Coach Williams will need his surprising freshman and the rest of the starters to give their best with Kentucky, Auburn and Kansas the toughest oppoents in its bracket. In the tough Big 10, MSU has been strong with only one one-point loss against Indiana in the last eleven games, and wins against in-state archrival Michigan (three times) and Wisconsin (twice). With 53pts and and 22as in the three games of the Big 10 tournament, Winston has displayed why he is one of the best PG in the country. He has been well helped by McQuaid who scored a season high 27pts against Michigan. To go far in the tournament, the Spartans can also count on the big boys Goins, Tillman, Ward and Henry who bring much need toughness and defense inside. MSU will have to beat Louisville, LSU or Virginia Tech to potentially face Duke in the regional final. Losing against Tennessee and UNC in back to back games was rough but ok. Losing in the conference title game against St Mary’s scoring only 47pts after a perfect regular season is just not acceptable. 9pts for Hachimura, 2pts on 1/11 for Norvell and 10pts 5tos 4as for Perkins, too many leaders played badly too have a positive outcome in this game. Maybe it’s better they experienced losing before the tournament to get more focus for their first game against Fairleigh Dickinson/Prairie View. If they beat them, Florida State, Michigan or Texas Tech will be solid opponents to handle. Four losses in the last ten games, albeit against ranked teams, including a 20 point loss in the SEC title game, is not a good way to start the tournament. While Williams was good against Kentucky (20pts 7rbds) and Auburn (13pts 8rbds), Schofield (4pts on 1/8) and Alexander (2pts 5 fouls against UK, 2pts 5rbds against Auburn) didn’t bring the consistency a senior is supposed to. If they want to reach the regional final and favourite Virginia, the Vols will have to get by Purdue, Villanova or Cincinnati. After a 17-0 start, Michigan lost against three non-ranked teams before losing three times against in-state archrival MSU. In the last two losses against MSU, the Wolverines got humiliated under the rim with 46rbds to 20 (sic) for MSU in the first game and 38 to 29 in the Big 10 championship game. Put aside their lack of a solid big man except for Teske, Michigan need Matthews to step up his game as the senior swingman only scored 15pts in the last three games including 2pts in the last game. 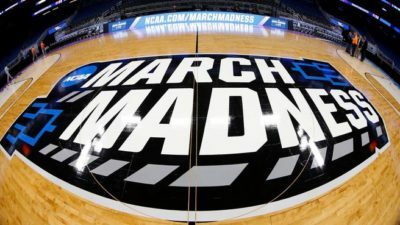 With Texas Tech, Nevada or the surprising Gators from Florida in their part of the bracket and Gonzaga as the #1 seed in the region, it will be hard for Michigan to repeat last year’s perf. With two losses against Tennessee in the last five games, the Wildcats could have finished their regular season better. In the first 19pts beatdown, the combined 1/10 from three from Herro and Johnson and 6/26 FG from the first two guards and Hagans were too much to hope a positive result. In the closer SEC semi-final, Kentucky proved it has the talent to be hopeful in the tourney. With Houston and then Kansas, Auburn or #1 seed UNC as its potential opponents, Kentucky will need both its outside and inside players to bring their A game. After nine wins in a row, the Raiders, like many other top ten teams, lost in its conference tournament against West Virginia. In that game, Texas Tech lost the rebounding fight 44-30 while shooting only 6-18 from three, including 0/6 for top 10 prospect Jarrett Culver. As versatile as he is, Culver’s inconsistency from three with numerous games with at least four attempts and 25% or less could cost a lot to the Raiders. They will also have a tough region with Michiga, Nevada or Gonzaga in their bracket. Except for an early loss against Oklahoma State by 13pts, the Tigers have never lost by more than six points, theit two last losses coming against Florida by 5 and 3pts. With Reid Waters, Mays, Smart, Williams or Bigby Williams, the roster is stacked at every spot. Reid has stepped up his game recently with three double doubles in his last four games including 26pts and 14rbds against Florida. Yet, this game also displayed LSU’s lack of consistncy from outside with a poor 6/19 including 0/6 for Mays. With Maryland and then potentially MSU as their first big opponents, the Tigers will be tested pretty soon.